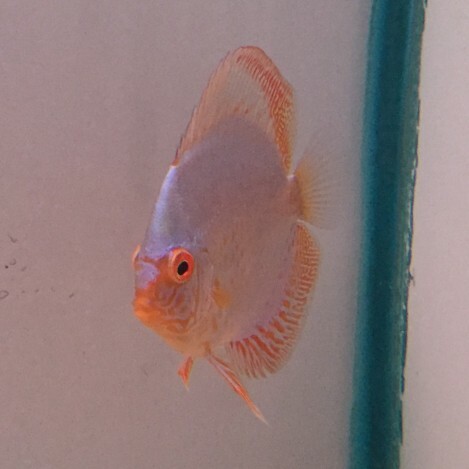 Symphysodon sp common name Discus fish. They can grow up to 20-26 cm / 8-10 inches. 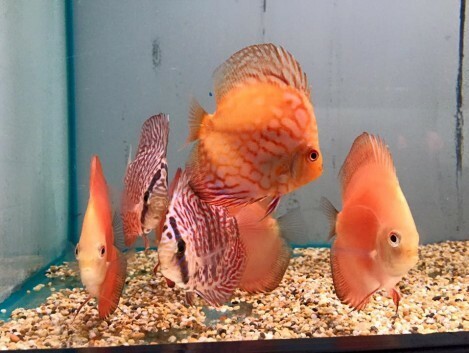 They live in water parameters of Ph range 6.0-7.0, and temperatures of 26- 30 Celsius / 78-86 °F. 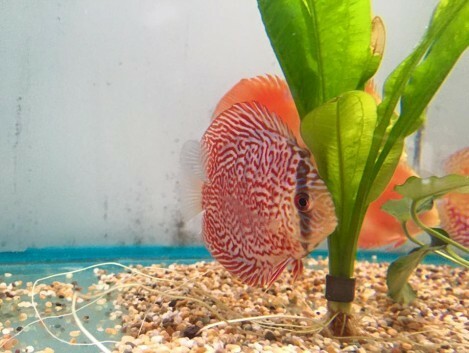 The discus fish are a specialised fish, and really should be kept in there own tank. It is mainly because they do like temperatures warmer than most other fish do. There is such a wide variety of colours and some colours can be out standing. 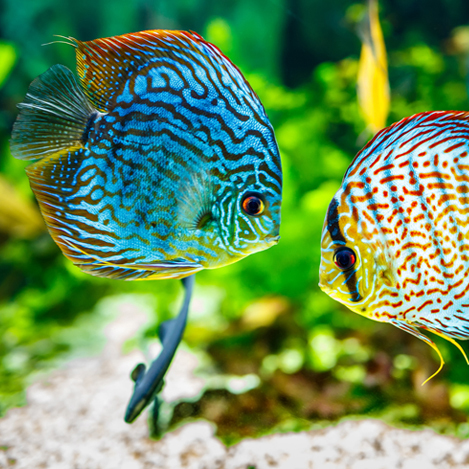 They are a very graceful fish and peaceful, so it is best not to mix discus with aggressive fish. 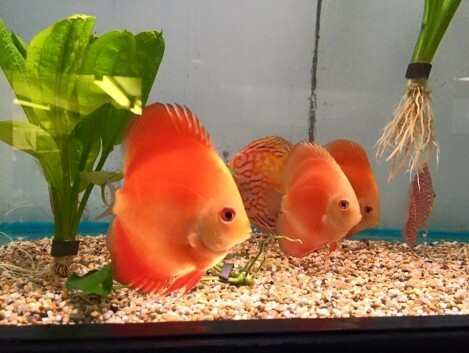 They do require regular water changes, however to much tap water can upset the discus. 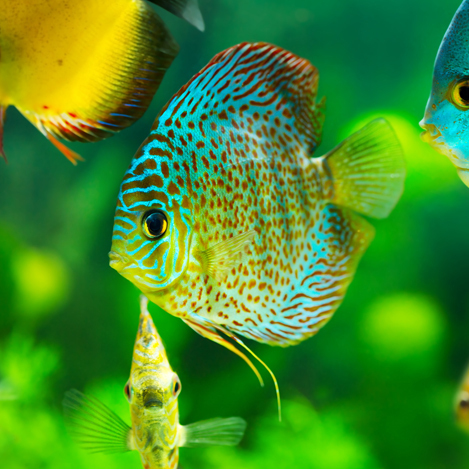 We would recommend before having discus to invest in a water system purifier, like a HMA system, this will take all the impurities out of the tap water and also the chlorine, to make it safe to use with discus or any other fish. When breeding it is a good idea to use RO. 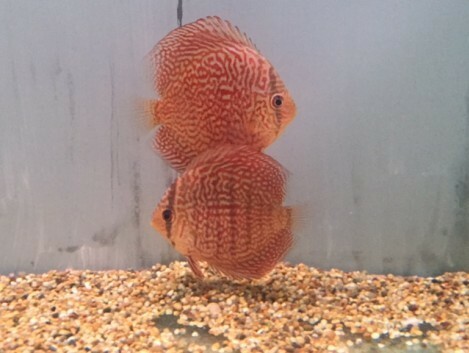 But we do advice with the discus fish to research some more about them as they are a specialist fish and do require more care than normal tropical fish. They eat a variety of foods from flake, pellets and granular. They also do need meat in there diet like frozen beef heart, or brine shrimp, there is also discus specials with a mixture of foods in the cube. They can also have a treat of bloodworm but you do have to be very careful feeding them bloodworm. We would recommend regular worming of the discus, especially if you feed them bloodworm. 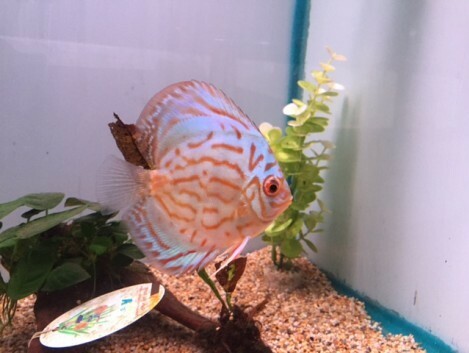 Discus are a specialist fish, they require a lot more food as they lose weight easily. Feeding granular foods, high protein foods, colour enhancing foods are good for them. 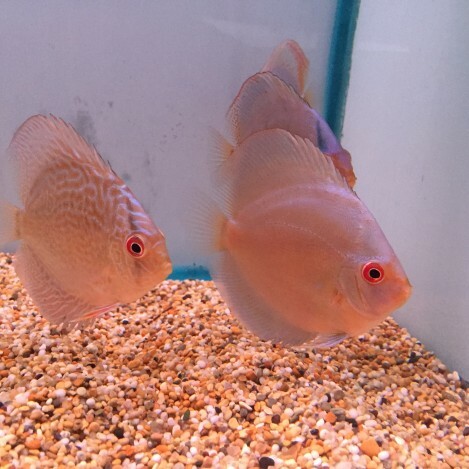 Also frozen foods of brine shrimp and beef heart, and live foods like brine shrimp is needed to keep the discus happy and healthy. Feeding twice maybe three times a day is best but with feeding this much food, bigger filters and more water changes are needed.